What he found was a square mile of junk, weeds, railway lines, one messenger, one civilian artificer with a few maintenance men employed mainly on the heavy guns mounted on railway mountings. The site may have been derelict, but it was in the right place: good road and rail links, a plentiful supply of staff, but above all close to Coventry. Chilwell was near the motor industry and that held the key. Wars in the middle of the 20th century would be fought on wheels. The derelict factory, which had been the largest shell filling factory in Britain, had supplied most of the ammunition fired on the Western Front. It had been created by Viscount Chetwynd, a man of great vision, but in 1918 it suffered a disastrous explosion which cost the lives of 134 munition workers and rendered most of the site useless. A War Memorial was erected to remember them. This links to an article about the factory and explosion. After the war what remained of the site became a general ordnance depot until it closed in 1926, except for use for Territorial Army camps. In 1935 all this changed and the site burst into life as the buildings were rendered fit for purpose. Much more than this, the heavily built soldier, Bill Williams, picked the brains of the motor industry and distribution businesses. 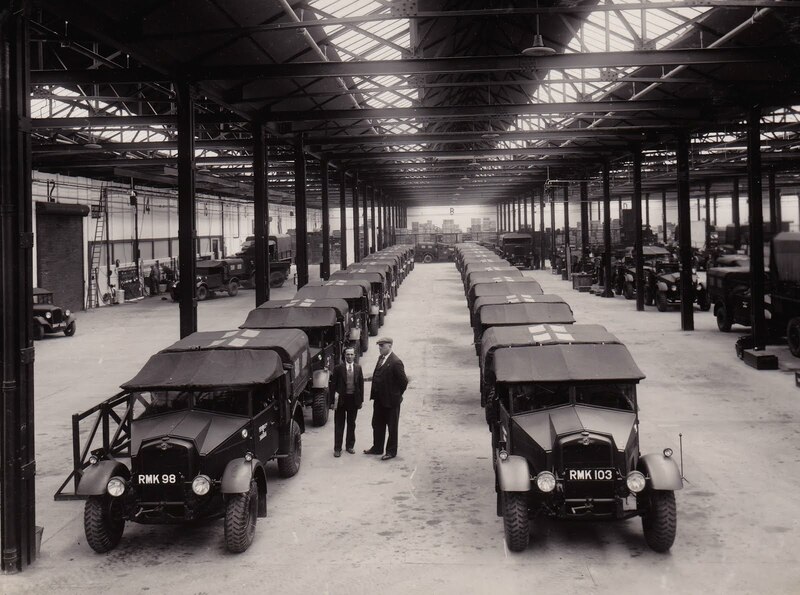 He recruited talented people from industry and they created a centre for army mechanisation that would form the hub for all army vehicles in WW2. This though was only the start, under the leadership of Reddy Readman the depot grew both in size and sophistication and set up sub depots elsewhere in the country notably in Sinfin Lane in Derby. This and much more of the story of army mechanisation has now been told in a new book, War on Wheels. The author is Bill Williams’ son and the source of much of the story came from albums compiled by his mother, Betty Williams (nee Perks of the Long Eaton builders). As valuable as the albums were recordings and diaries of people who worked in Ordnance whether at UK depots or overseas. These produced some wonderful stories. After Dunkirk the Chilwell sheds were crammed with exhausted soldiers who had been evacuated. Everyone rose to the challenge of feeding and caring for them. In the run up to D Day it was all hands on deck as items had to be packed ready to be taken up the Normandy beaches. Even school children gave up their Easter holidays to help. It is the story of thousands of ordinary men and women, without whom the army could not possibly have functioned. Chilwell had on site working side by side, soldiers, civilians many of whom had fought in the Great War, and many women both ATS and civilian.